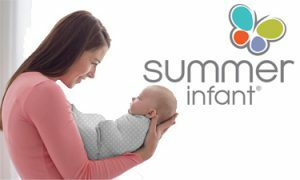 We are delighted to continue to expand the trade choice of products available from the popular baby brand Summer Infant. This week’s new arrivals include an increased choice of prints in the award winning SwaddleMe. This follows popular requests including having more of the grey neutral prints as well as a large size option (approximately 3-6months, 6.4 to 8.2kg). So retailers can now stock Summer’s grey clouds, dainty ditzy ellie print, and grey stars print in both 0-3months and 3-6months. There is also a girl’s option of heart prints, called ‘I love you’ and boy’s option of vehicles called ‘which way’. Summer Infant’s swaddle is a leading product in the market within its category, being designed with leading safe-sleep experts and having established trust in its product around the globe. It is extra soft, with adjustable wings for a personalised fit in terms of body and personality, that secures baby in a cosy, womb-like feeling, that prevents startle reflex that can wake up little ones. An additional variant within the swaddle range introduced at Baby Brands Direct is the Kicksie, this provides the advantages of swaddling but with baby’s legs free to kick away. This is a perfect line to add to a store offering especially given the approaching summer months and also holiday season. It is also ideal for use in conjunction with bouncers and swings allowing little ones to be securely placed in the items harness which often have crotch fastenings. Trade supply available includes the ‘lots of love’ print with pink edging, ‘scatter star’ with blue edging, and 2 neutral prints, the earthy, ‘woodland smiles’ print with grey edging and ‘baby jungle’ with beige print. We also have available a new gorgeous pink colourway in the 4 in 1 super seat that supports baby as they become ready to sit up. 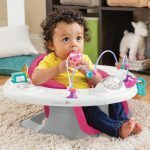 It comes with a 360 degree activity tray that can be rotated to enjoy all the activities it comes with and in addition has a feeding tray that can be used to feed baby which can also be removed once toddler is ready to sit at the dinner table and use the item as a booster seat. A completely new and welcome addition to the range is the Summer Infant Clean Rinse Baby Bather which is an adjustable 3 position bath support. 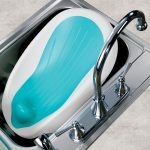 It boasts a seating area that is flexible and comfortable, with a unique clean-rinse deisgn that allows water to flow directly down and out of the bather. It is further designed to fold down so that it is ideal for travelling and storage. Baby Brands Direct is an independently run exclusive distributor of Summer and SwaddleMe products to independent retailers in the UK. It offers trade customers a wide choice of products that are available in the UK market at the best prices, alongside an award winning service.